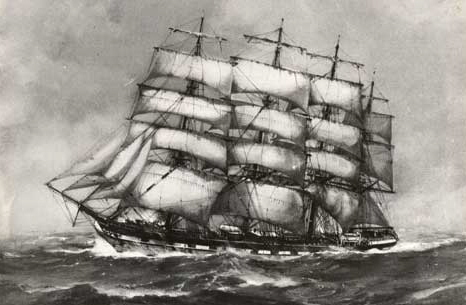 This website was launched in advance of a manuscript about the “high point of sail power” – between 1873 and circa 1898. 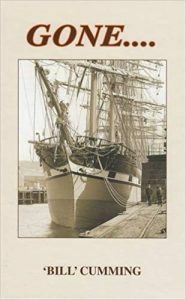 The ensuing book of maritime history reveals developments from the ‘powerhouse’ behind the great advances in sailing ships: the River Clyde. 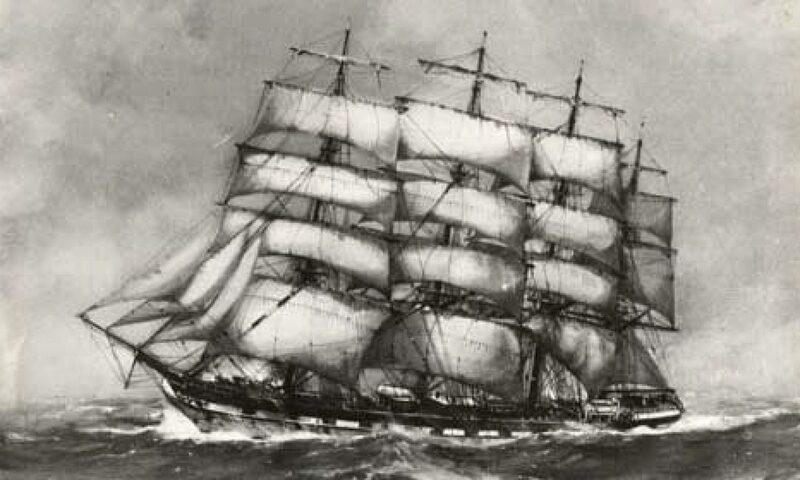 An early picture of ‘County of Peebles’ (launched 1875). In view of the milestone decision by a Scottish ship-owner, to introduce 4 (rather than 3) masts, the story encapsulates a renowned fleet of 19th Century ‘clipper’ ships registered at Glasgow, Scotland – at the heart of the sail-power revolution. Entitled “GONE . . . . “, the book is: “. . . a revealing portrait of the people of R&J Craig of Glasgow, and their fabulous 4-masted sailing ships named after Scottish counties” ~ recognised round the world as “Craig’s Counties”. Since its release, copies have been popping up all over Scotland and England. It is reported that they are also to be found in the USA, Australia, Germany, New Zealand, South America, Canada, Sweden, Denmark, the Baltic states and Russia.